Rock And Roll Gladiator Ring Great Adult Fun!!!! Rock And Roll Gladiator Ring Great Adult Fun!! The time which you spend in the ring for sure gives you a life time memories .Also great for just jumping around for the Kids and the Adults. Note : The company will do everything while setting up the jumping castle you do not have to do any work yourself. Firstly they clean the castles, Secondly they check the safety of castles, and then deliver it after the delivery they install the inflatable jumping castles in your garden or backyard. Bungee run is really a fun which is unforgettable.You compete against another person in the next lane and try to go as far down the run as you can.This a very competitive game and is fantastic for kids party and fit in any events. Kids enjoy Bungee run and jumping castles a lot.Through bungee run see how far you can run. Kids enjoy jumping castles a lot either on a fair ,your baby birthday party all they need fun and wants to enjoy a lot .you can give your baby a attractive or entertaining environment through jumping castles. 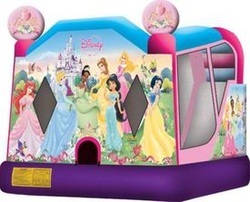 You can make your Children’s birthday party wonderful by Jumping Castles Hire ,it is not only for kids now days they also provide the adult jumping castles. Your kids must be so happy by this exited gift if given by you. The main problem is to find a good jumping castles but you can find them if you go on the track!. Now a day they all are Online for huge business. Find out from the internet writing the key word –bouncy castles. You will get a list of them. The important thing is that you must have to enquire completely then you can hire them. For the adults also we are providing so many offers so that they can also enjoy with jumping castles. we are also providing you a Airbrush tattoo if you want. we are having a amazing range of water slider jumping castles as California wave water slider, cars slider, Giant slider, surf duel land slider, dolphin water slider etc…. and some party extra products are also provides as you can enjoy more Pinball machine, combo popcorn and fairy floss, fairy floss machine, wishing well etc…. You must have to take some precautions while jumping castles. You know it’s a inflatable objects that can be inflated with gas generally with air, but in place of air Hydrogen, helium and nitrogen can be used. It’s really a fun with Jumping Castle Hire , but we have to aware also. So enjoy your life and make your precious occasion memorable. Disney Princess Combo this is the real deal, its big as beautiful. The girls will go crazy over it. Are You Looking to Entertain Your Kids for Hours? There is no doubt that kids love jumping castles. Not surprising really when one considers how much fun children can have jumping on a bed or a trampoline! Jumping castles are complete this job it covers the joy of making, believe all rolled up into the one good and safe environment. Aussie’s Jumping castles are the best way to combine fun and healthy activity. With a different variety of colors, shapes and themes, there are numerous types of jumping castles available in our funland. Kids birthday parties are very important parties for children and also often some apprehension and stress for the parents. Jumping castles offer kids of all ages an opportunity to expand their energy by participating in aerobic activity with healthy fitness. Note : The company will do everything while setting up the jumping castle you do not have to do any work yourself. Firstly they clean the castles, Secondly they check the safety of castles, and then deliver it after the delivery they install the jumping castles in your garden or backyard. If you are going to plan a theme for your next party event in Brisbane, Redlands, please consider an Aussie’s Jumping Castle Brisbane. Kids will have endless hours of fun jumping with their friends, safely in a bouncy and great environment. Aussie Zorb Fun is the unbelievable sport of rolling down a hill strapped inside a giant inflatable ball, or more specifically, a ball inside an inflatable ball. The two bubbles are held together by hundreds of ropes creating a cushion of air that protects you as you roll down the hill. Zorb Fun balls can have either one or two entrance holes. Firstly Zorbing Fun was made-up in New Zealand in the early 1990\'s by Dwayne Vander Sluis and Andrew Akers who called their innovation the Zorb. They formed the company Zorb Limited and set to work commercializing the new sport. The business model of Zorb Limited is one of a worldwide franchise system. They do not sell Zorbs to the general public, but rather lease them to franchisees. After the invention of the Zorb Fun Balls, Other New Manufacturers tried to make their own Balls, the quality of which was called into question. They seemed to have trouble getting the shape right, creating what looked more like giant doughnuts. Some of these manufacturers have overcome this challenge and are now producing high quality Zorb Fun Balls. This is just a brief history about Zorb Balls. Maybe you have never been zorbing, and then now it’s time for you to enjoy this thrilling activity. Zorb Fun is all about having a good time. It feels reckless, but you remain perfectly safe inside our well constructed Zorbs. The Adventure Islands have Zorb runs that stretch good distances on well groomed and safe runs. This gives you just enough distance to enjoy the thrill of tumbling in a giant plastic ball. If you’d prefer to start with a shorter run, then you always have that option. Our Westport House base has several hills and flat areas that you can use for your zorbing experiences. The experts at The Adventure Islands can offer you all of the instruction that you need to make sure you enjoy this activity safely. Zorbing experiences are best when you have access to top-rated equipment. The Adventure Islands uses Zorbs that are designed like a ball inside a ball. The area in between these balls is filled with air, giving you a gentle (yet exciting!) ride. You enter the Zorb by a tunnel that connects the two balls. Once inside, you are cushioned from the ground’s impact, allowing you to roll down hills without getting hurt. We can even add water to the space between the plastic balls so that you can enjoy an aqua ride! There are two basic types of Zorbs that we have. Harnessed versions can accommodate one or two riders. Non-harnessed designs can hold up to three. Plan to have a lot of fun when you visit The Aussie Jumping Castles. Zorbing will leave you in an high-spirited state of laughter and thrill. Your party peoples will almost certainly scream with delight. Famous Zorb Balls Hire are available to hire for any event, party, anytime, anywhere. Whether it’s for 3 hours or 1 week, in Brisbane or Redlands or in whole Australia. Not only are we available to hire but we can also come to your event to boost it up. We tailor our service to suit your budget so when you contact us for a quote, please provide us with the type of event, location plus date and time required. Author is a family owned business based in the Redlands. Thriving on helping others have the best day ever, its gives us as well as u lots of fun to operate this business.